We've invested in a new way of looking into your mouth—a procedure that's fast, comfortable, and incredibly precise. Using digital radiography, we can clearly identify all external and internal anatomical structures and accurately diagnose your dental problems. Even more amazing, we can immediately translate that information into a large, clear, accurate image, projected to a monitor that patient and doctor can study together in the operatory. You won't even have to leave your chair. Digital radiography's technology improves and simplifies the way we care for our patients' teeth, resulting in better dental evaluations and treatment decisions. As the most important member of your dental team, you need to understand the condition of your mouth, as well as our recommendations for treatment. Digital radiographs help us help you. Now, when you come into the office for X-rays, a tiny sensor is placed in your mouth to detect small amounts of radiation – up to 90-percent less than traditional X-rays require. This creates a detailed image of your internal oral structures that is immediately viewable on a chairside monitor, carrying with it all the conveniences of other digitized images. We can rotate and magnify it, adjust it for contrast, and even color-code it for educational purposes. The digital images store easily and efficiently in our computer files, safe and sound. For insurance purposes, referrals, or patient education, digital X-rays can be easily, inexpensively, and accurately reproduced indefinitely. Digital X-rays offer unparalleled benefits over traditional radiographs: they're convenient, safe for the environment, provide a great opportunity for patient education, can be transferred and copied accurately, and best of all, they're safer for our patients. 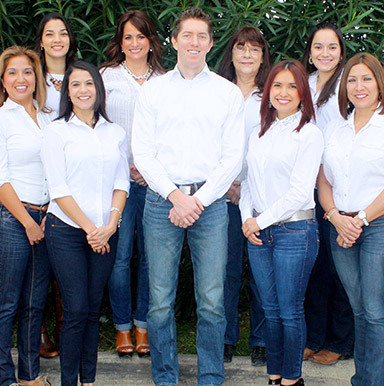 If you have questions about digital X–rays, call our Los Fresnos dental office. We'll do all we can to help.